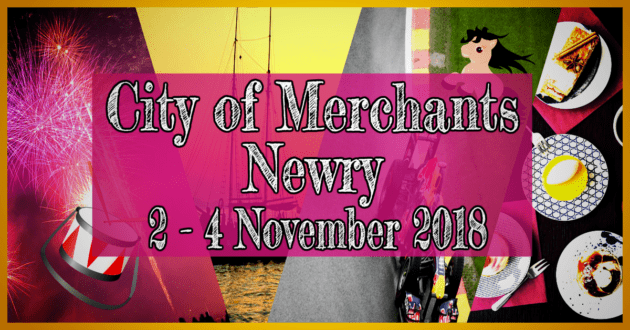 City of Merchants | Newry – Friday 2, Saturday 3 and Sunday 4 November 2018. You are GUARANTEED an action packed weekend of family fun from 2 – 4 November in Newry. The City of Merchants Festival celebrates Newry’s heritage as a bustling town of trade and commerce throughout it’s long history. Newry’s Clanrye River flowing out into Carlingford Lough ferried the movement of people and trade in and out of Ireland. The Gap of The North and a Frontier Town, Newry flourished as a port throughout the 18th and 19th centuries transporting general merchandise, butter, grain and linen. Merchants established breweries, salt mills, ironworks and sugar refineries. Trade routes were established to and from Newry to the far corners of the world. City of Merchants Festival takes place on Friday 2, Saturday 3 and Sunday 4 November 2018. There really is an impressive itinerary of events, experiences and fun for everyone – adults, kids, families and the young at heart! 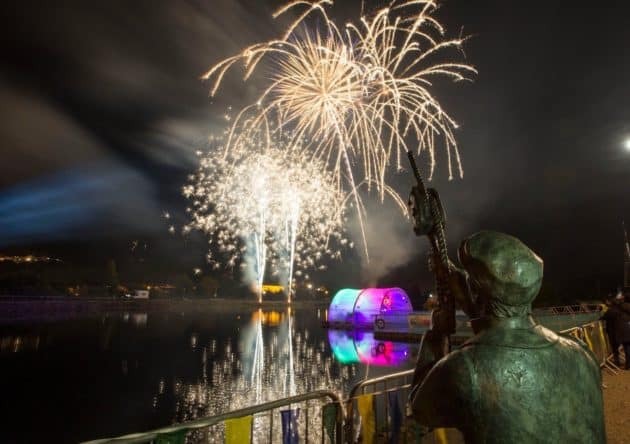 Let’s say we threw into the mix a breathtaking fireworks display with live music, pony and trap theatre like you have never seen before and a Formula One car, Tall Ships on the Canal and some amazing food and crafts! City of Merchants Festival is hosted by Newry, Mourne & Down Council. 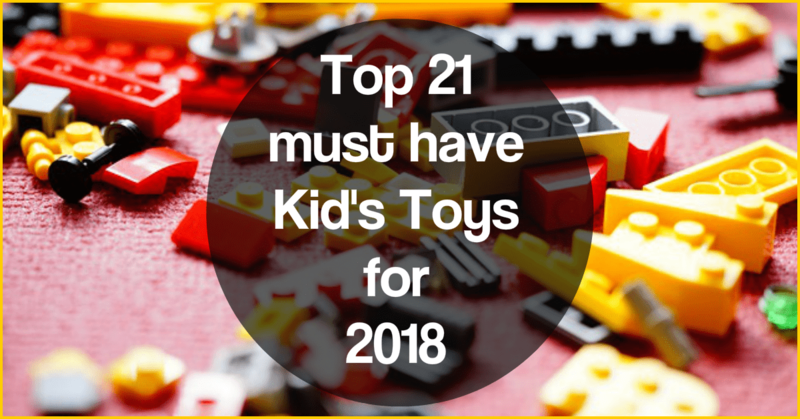 There is something for everyone during this weekend! The City of Merchants 2018 Newry – At a Glance! Enjoy a day at the museum, guided by ghostly apparitions from the history of the castle; encounter people and objects in a ‘nearly-true’ odyssey through our past! 11am – 4.30pm – Merchant Quest – an interactive game led by actors, traders and volunteers to unlock the city’s secrets. 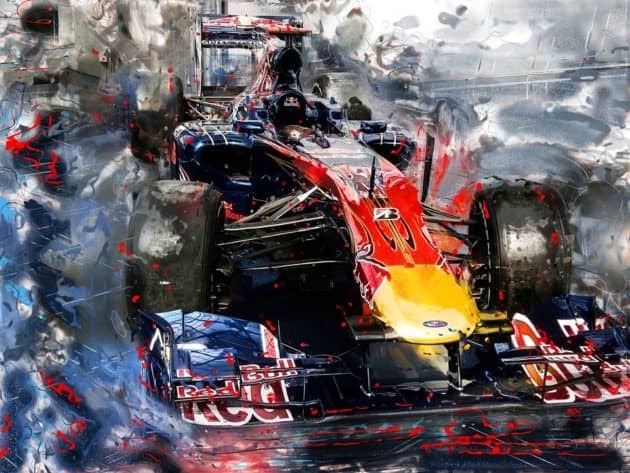 Formula One Fans will LOVE THIS…Red Bull Formula One Car comes to Newry! The Red Bull Formula One Car will be on display in Newry between 2pm and 4pm on Sunday 4 November 2018. The car will displayed at Marcus Square in Newry. Formula One has an estimated annual worldwide viewership of 390 million people! We have no doubt that there will F1 fans in the Newry and County Down area just buzzing to catch a glimpse of this car when it comes to Newry. The Red Bull Formula One Car is built by Aston Martin. The 2018 Red Bull Formula One drivers are Daniel Ricciardo and Max Verstappen. The team have had 3 wins in this years competition. The Aston Martin Red Bull Formula One Car visits Newry in partnership with Kx and Newry Bid. First Derivatives announced in November 2017 that it had been selected by Red Bull Racing as a team supplier for the use of its Kx technology to analyse wind tunnel data from its Formula 1 vehicles in the development of faster, more competitive F1 cars. “We at Kx are delighted to work with Red Bull Racing. 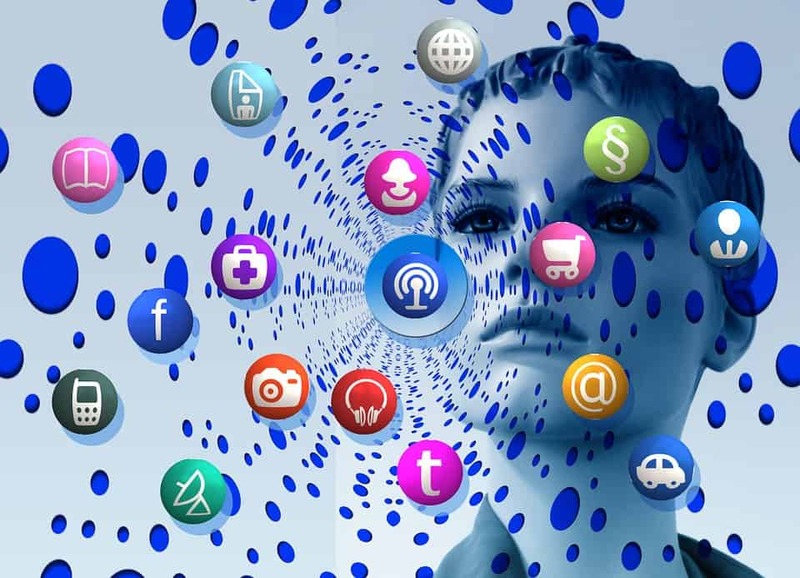 Both companies are associated with power, speed, precision engineering and innovation. First Derivatives recent redevelopment of the old Woolworths building on Marcus Square, Hill Street. Spark! is a street theatre show that combines high-impact drumming, dynamic choreography and beautiful lighting design. The show gradually builds in intensity culminating in a huge climax of light, sound, smoke and movement. Spark! will lead a procession from The Twilight Market to Fireworks display at the Fathom Line on Friday (2 November 2018) evening at 7.15pm. On conclusion of the Fireworks, Spark will lead us all back to the carnival atmosphere happening on Hill Street. 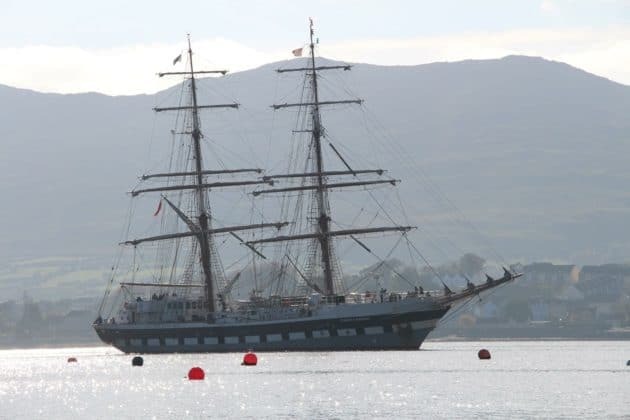 There will be free tours of the Albert Basin and Clanrye River aboard La Malouine, Brienne and Brian Boru on Saturday 3 November. 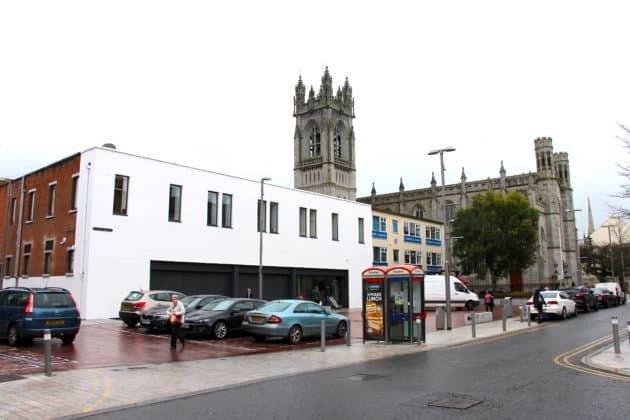 Modern day Newry continues the tradition of a centre for trade and commerce being one of the biggest provincial shopping towns in Northern Ireland. 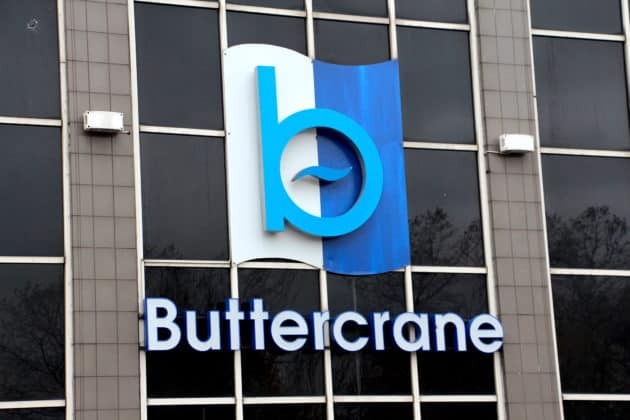 The Buttercrane and the Quays Shopping centres playing host to the shopping experience for many who visit Newry. 11am – 5pm – A comical look at how the retail landscape in Newry has changed in recent decades! Brace yourselves for a hilarious romp through shared shopping and culinary experiences. 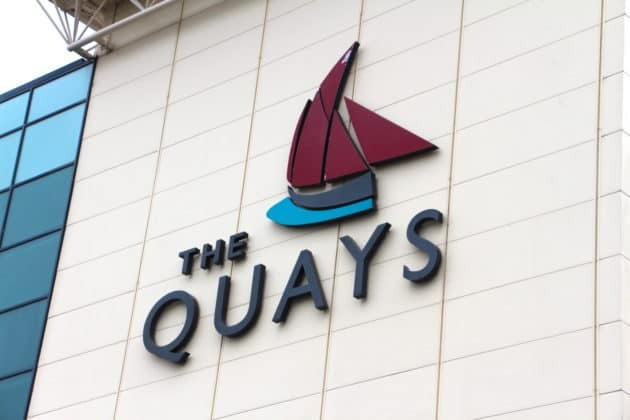 Fancy going back in time to when exotic food and ingredients coming of the boats at Newry Port started appearing on shelves and menus? Local theatre company Footsteps will provide the laughs as they take an affectionate and comical look at our recent shopping past. 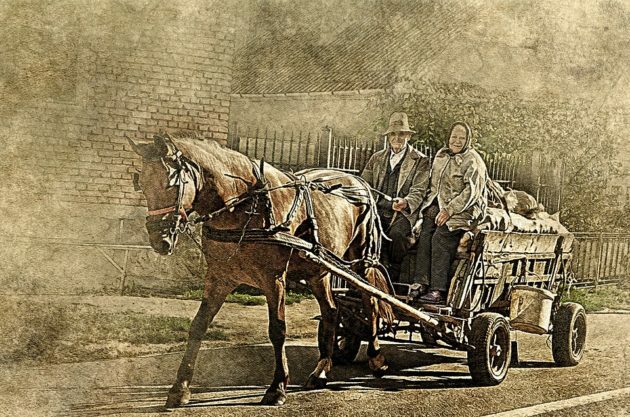 Marie and Daniel have escaped from the Newry Workhouse and are attempting to flee the city…by horse and cart; Your horse and cart! During your 30-minute journey around the Merchant City, you will take in the tales of a bygone age, and maybe get roped into helping our two fugitives escape. This fully immersive experience will be both historical and hysterical but will they escape, or is it back to the workhouse for them? The area surrounding Newry is steeped in history – if you haven’t done it, visit the Ballymacdermot Court Tomb, to be transported back to The Stone Age. It is believed that Saint Patrick had visited Newry on his mission to convert Ireland to Christianity. He planted a Yew Tree on the shores of the Clanrye River to symbolise the growth of the Christian faith in Ireland. The settlement around Newry grew around the monastery that had been established by Christian monks. 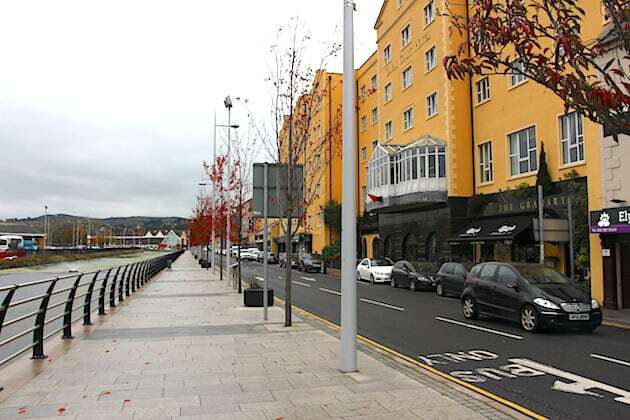 Newry’s proximity to the sea via Carlingford Lough – much of the reason for it’s later success as a City of Merchants – left it vulnerable to attack from foreign invaders. The Vikings invaded Newry often. Legend has it that Carlingford Lough was named after a Viking chief dues to it’s similarity to the fjords of their Scandinavian homeland. The Normans arrived in Newry around 1167. 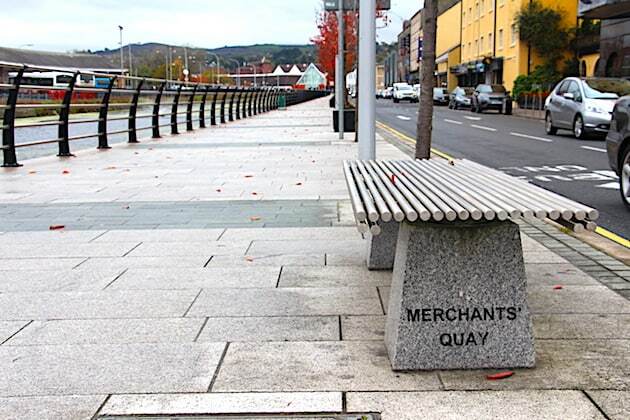 The merchants of Newry in the 1700’s were keen to establish Newry as a port town. 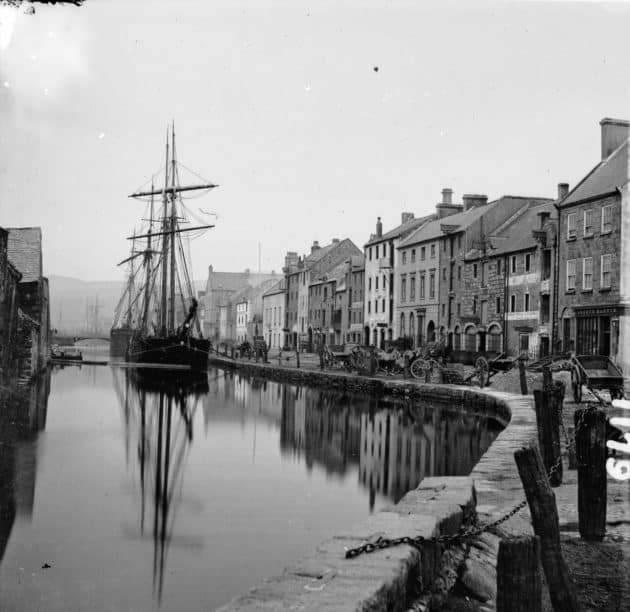 The Newry Canal opened for business in 1742 with a ship canal following in 1769. Inland waterways transportation was cutting edge technology long before the train or plane. The canal was originally built to transport coal from the County Tyrone shores of Lough Neagh to Irish sea via Carlingford Lough to Dublin. Dublin had been importing coal from England with high transportation costs. Newry began to flourish as port transporting general merchandise, butter, grain and linen. Merchants established breweries, a salt mill, ironworks and sugar refineries. Trade routes were established to and from Newry throughout the world the Americas and Europe. It was the first summit level canal to be constructed in Ireland or Britain. A new Customs House and Merchants Quay was built in 1815 to accommodate the growth in the import and export of goods through Newry Port. Long gone are the days of bustle and hard toil when dockers loaded on and off goods from the ships that docked at the quay on the Canal. Today things are much more relaxed were the business is one of enjoyment and leisure at the Canal Court, Bellini’s or Grounded. 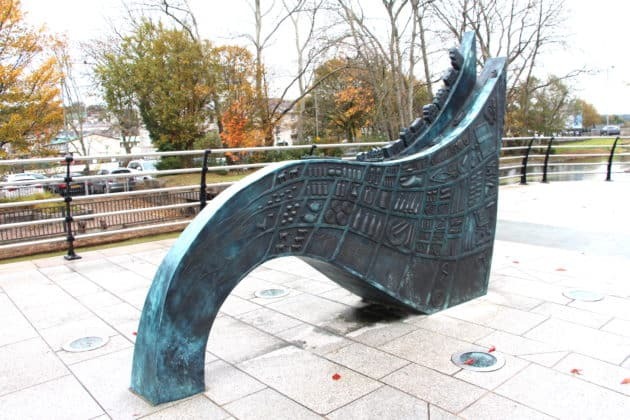 Check out our video of the wonderful pieces of public art commemorating Newry’s economic and social history. 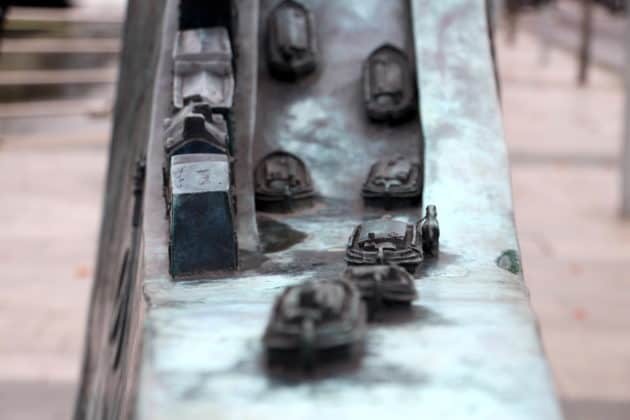 The form of the artwork reflects the idea of flowing water but at the front end the the shape suggests the prow of boats or barges creating connections to the histories of transport and trade that contributed to the development of the city. Middle Section – The Canal with boats sailing on it. Highest Sections – Building and Warehouses built by Newry’s successful merchants. Back Section – Maps of our islands, the Americas and West Indies were people and ships travelled to and from the Port in Newry. The Docker was sculpted in bronze. 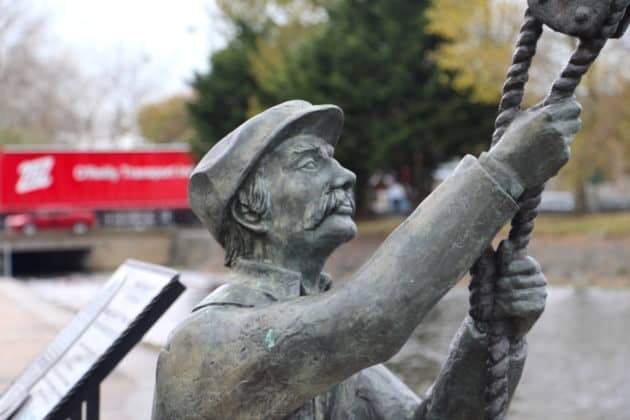 It was commissioned in memory of the dock workers who worked in this area of the Albert Basin. Lets not forget their passing and the history that will last. Check out the video documenting the sculpting of The Docker. Our video of the Twilight Market in Newry in 2016. If you are interested in your local history of Newry and the surrounding area , be sure to visit the Newry Museum at Bagenal’s Castle – it’s well worth a visit but be prepared to get lose a few hours!